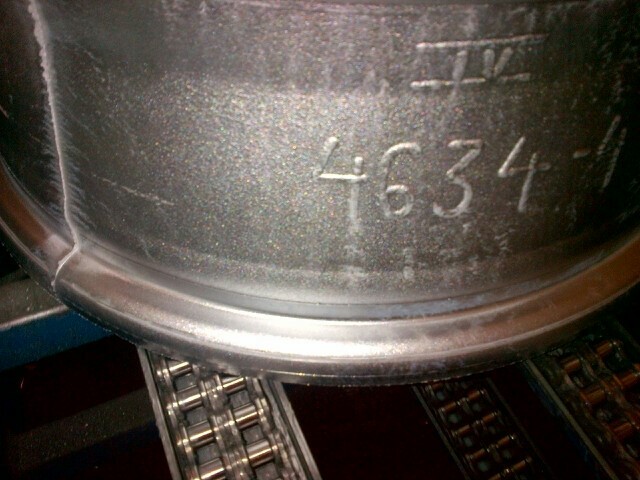 Alphanumeric marking of a reference number on the circumference of a rim. The marking is done on a rather small area. 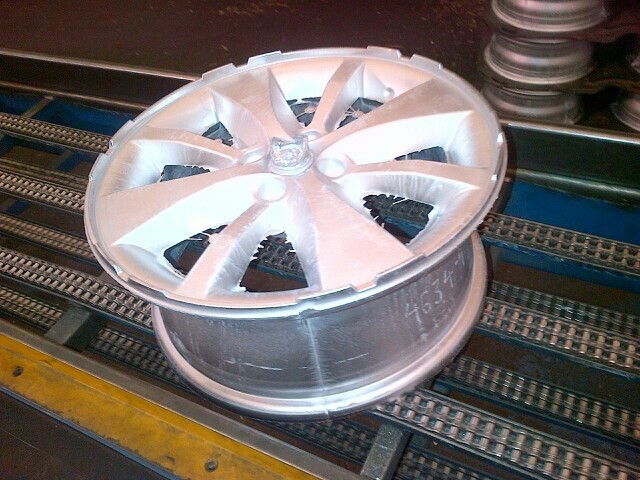 Integration on a production line, after polishing. The e10R i52 marking machine was chosen to be installed along the conveyor. The rim progresses continuously and stops in front of the marking station and is mechanically clamped and then marked. Implementing rim traceability was made without significantly altering the production cycle and respecting the existing environment. The marking machine's integration was easy since the system has a complete connection to communicate with a PLC and multiple inserts to position the marking head in different configurations.